You must have been hearing about the wireless technologies like 2G, 3G, 4G, etc. The latest in the sequence is 4G, which is the 4th generation of wireless telecommunication technologies. 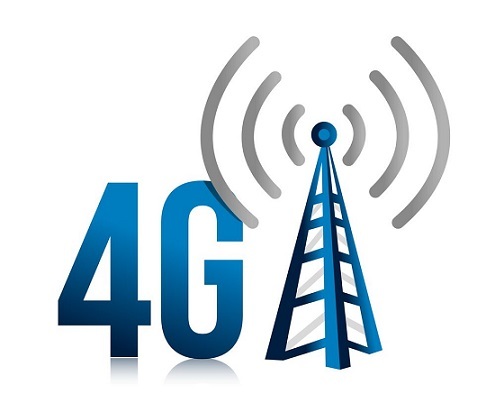 So basically what is 4G techology and how it is different from its predecessor technologies like 2G and 3G? Answers to these questions are covered in this article. Fourth generation of the mobile telecom services are offering better services as compared to its predecessor technologies with faster data transfer rates. Along with a peak download speed of 1 Gbps and peak upload speed of 500 Mbps, the ourth generation (4G) technology will be offering much advancement to the current wireless communication including low latency, efficient spectrum use and low-cost implementations. The latest integration also offers not only the high speed but also high-quality voice and high-definition video. With impressive network capabilities, 4G enhancement promise to bring the wireless experience to an entirely new level with impressive user applications, such as sophisticated graphical user interfaces, high-end gaming, high-definition video and high-performance imaging.Consumer expectations for mobile handsets and similar products are becoming more and more sophisticated. The predecessor technologies to it are 1G, 2G and 3G technologies, 5G technology is also set up in the sequence with expected to hit the market by 2020. Here is the timeline for various communication technologies. The 4g technologies have brought about many changes when compared to the previous technology. The 4G technologies are required to work on the frequency range between 2 to 8 GHz. Despite having the same bandwidth ranging between 5-20 MHz the data transfer rates have rushed up by almost 10 times making it as fast as 20 Mbps. It makes it superior in areas like imaging and processing power to support future 4G applications like three dimensional (3D) and holographic gaming, 16 megapixel smart cameras and high-definition (HD) camcorders. With the previous technologies using both types of switching the data transfer rates are pushed up choosing only the packet switching instead of choosing both packet switching and circuit switching methods. Packet-switched networks move data in separate, small blocks or packets based on the destination address in each packet. When received, packets are reassembled in the proper sequence to make up the message. Circuit-switched networks require dedicated point-to-point connections during calls. A circuit-switched network is good for certain kinds of applications with limited points to go. If you're doing voice applications solely, it's great. But if you have multiple locations to get to and large amounts of data to transmit, it's better to break it down into packets. Here is a list of countries depicting the penetration of 4G networks in their country and the frequency used by them for 4G network. Packet switching and message switching. ITU (International Telecommunication Union) has established the overall roadmap for the development of 5G mobile and defined the term it will apply to it as “IMT-2020”. The ITU-R Radio communication Assembly, which meets in October 2015, is expected to formally adopt the term “IMT-2020”. Wow the came a long way from 5 Mbps upload rate in the 3G to 500 Mbps! It is very huge different. I do know about the 3G and 4G tech, but I didn't got into details before reading this post. Thanks for making this guide Tushar.